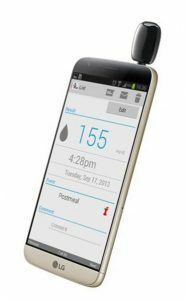 Philosys, the first company to develop BGB compatible with smartphone launched APP of measuring and monitoring blood glucose on LG G5 as well as Samsung Galaxy S7 and S7 Edge. As Philosys launched APP successfully which work on not only the latest G5 which has been promoted by LG but also iPhone and Galaxy that occupy the largest market share in the smartphone market, Philosys establishes a solid foothold in a mobile healthcare market and extends its market share. Especially, APP operating on the latest smartphone G5 by LG as well as Samsung smartphone can make Philosys expect great sales prospects in domestic market based on BGM named GMate Smart which has been exported to over 50 countries. CEO JinYong Rhee said that that not only Apple, Samsung and LG but also leading companies in China request a collaboration and partnership with Philosys and as Chinese manufacturer expand the supply of affordable smartphone, Philosys has a plan to launch application which can operate in Huawei and Xiaomi.